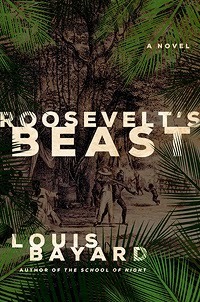 Louis Bayard is the author of the new novel Roosevelt's Beast. 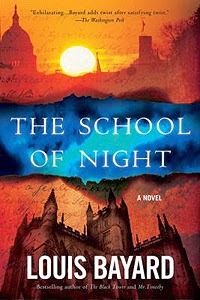 His other books include The School of Night, The Black Tower, and The Pale Blue Eye. 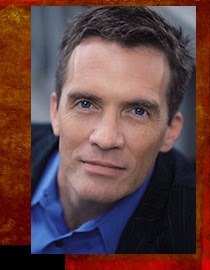 His writing has appeared in a variety of publications, including The Washington Post and The New York Times. He teaches creative writing at The George Washington University, and he lives in Washington, D.C.
Q: How did you come up with the idea of using Theodore Roosevelt's journey on the River of Doubt as the basis for your new novel? A: My “Ah ha” moment came in a Borders bookstore, which gives you some idea of how long ago this was. I was going from shelf to shelf, and this vagrant thought flashed through my mind: “Didn’t Teddy Roosevelt go on some crazy journey through the jungle?” And the book flowed from there, basically. At the time, I knew nothing about the Roosevelt expedition. I was just drawn to the idea of what happens to a “civilized” man in an “uncivilized” place (if I may use those old-fashioned and quite loaded words). Q: The book combines the real and the fictional. What did you see as the best balance between the two? A: To me, the best balance is whatever serves the story. Much of my book is grounded in fact – the details of the expedition itself, for example – but as soon as Roosevelt and his son make contact with the Indians, I quite happily part company with history. Of course, the history comes roaring back at the end, but it’s colored (I hope) by the fiction that precedes it. Q: What intrigued you about Roosevelt's son Kermit, the main character in the book? A: I’m always attracted to the untold stories – the stories that historians can’t tell us because they just don’t know enough. Kermit Roosevelt was this gifted, courageous, accomplished man who should have had a golden career – a golden life – and instead lost his way, succumbed to drink, and faded from public view. Why? To this day, nobody can say – not even his own descendants. So this book is an effort to figure out why, at both the psychological and symbolic levels. A: Having read so many first-hand accounts of Amazonian adventures, I was perfectly happy not venturing into the jungle myself! So I did what I always do. I went to the library, and I immersed myself in primary sources until I had the clearest possible picture of Teddy Roosevelt’s jungle. A: I’m writing a young-adult novel, also historical, with a teenaged female protagonist. A: Just how grateful I am for readers, I suppose. Every year some guy pens an epitaph for the novel – or the book itself – and a bunch of folks come out and prove the guy wrong. Thank God.